I started playing Christmas carols tonight. It was cold and felt right. I’ve been doing this every year for the past three and it has been an absolute blast! Ever gone caroling with your harmonica? You should! The songs are super easy to figure out (you have been singing the same tings since you were a wee child, after all) and the audience appreciation factor is guaranteed to be at an all-time high. Who doesn’t love Christmas carols being played by a minstrel wandering the streets? If you’ve never played a Christmas carol on your harmonica in public, I recommend you go out and start right now. Jingle Bells is an easy one, though it’s on the higher end of the harmonica so I recommend it in a G, A, or B. C is good if you can handle the high notes with confidence. (Confidence is the key!!!) We Three Kings is another favorite of mine, along with Frosty the Snowman and Rudolph the Red Nosed Reindeer. My Seydel Classic, by the way, performed marvelously, as always. It has such a loud, clear tone! I also took along my Suzuki Manji and a few Lee Oskars. It’s just sad the tonal difference between those three. The Manji has a decent tone, but it completely lacks the warmth and fullness of sound that the Seydel achieves. Let’s not even talk about the Manji’s clumsy handling. And the Lee Oskars? It is as though someone stuffed my harps with cotton. The sound doesn’t carry anywhere near as well and the tone seems 8 feet tall, whereas the Seydel seems 30. It’s just incomparable. I wouldn’t even play my other harmonicas if I had a whole set of Seydels. My next Seydel is going to be in a harmonic minor tuning. 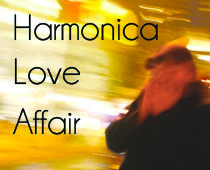 That’s what I play the most… harmonica minor harps. Until recently, I thought that Lee Oskar was the only company that made harps in that tuning but I was so dissatisfied with the Lee Oskar sound that I did some research and discovered Seydel harmonicas (glory!). As soon as I have the money I’m going to buy a new harp and as soon as that happens, you’ll have the full review! Photo credit goes to Flickr user Stephen Poff. Thanks!